To some degree, essential oils have been tested and proven to come to the aid of the above conditions. A few that were repeatedly mentioned in my research were rosemary, tea tree, and geranium. Essential oils can’t moisturize your hair but they can be added to other fatty oils and butters that will. 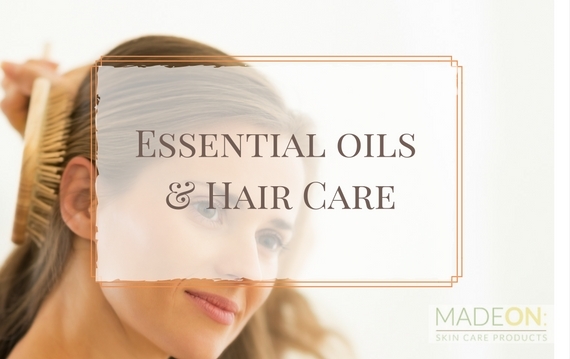 Essential oils won’t make your hair greasy or oily, either, although the oils and butters might. Make sure to dilute the essential oils in oils or butters before applying to your hair. Use a trusted resource for your DIY recipe searches. 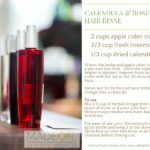 The Herbal Academy (affiliate link) has recipes for an herbal vinegar hair rinse as well as DIY shampoo and body washes. If you choose to use peppermint, remember that your scalp will tingle, so use a very small amount. 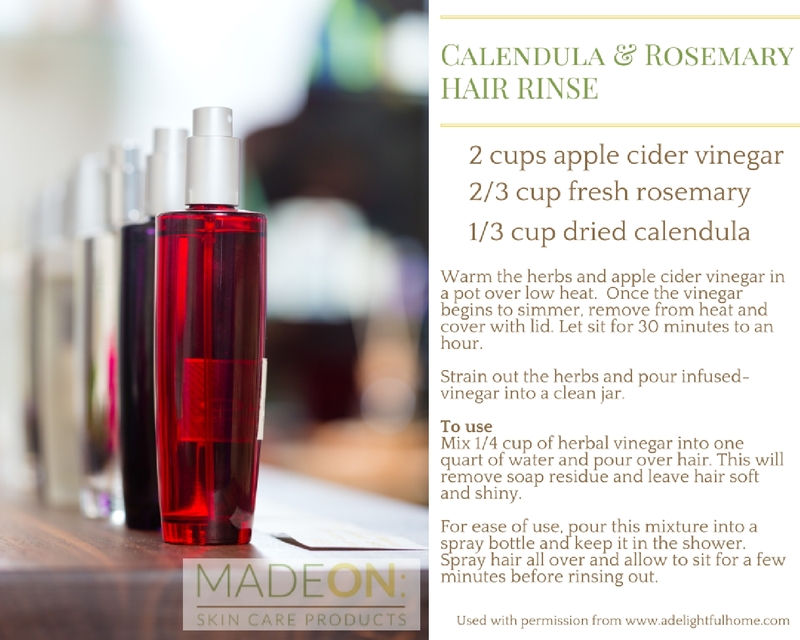 An herb-infused hair rinse can be used to aid in the removal of dirt or residue from the hair. It also adds shine and leaves hair feeling soft and clean. Place herbs in a large jar and pour apple cider vinegar over them. If they are not completely covered, add more apple cider vinegar. Place lid on jar and leave rosemary to sit for about three weeks. Strain out the rosemary and keep your rosemary-infused vinegar in a glass bottle. If you need it sooner, warm the herbs and apple cider vinegar in a pot over low heat. Once the vinegar begins to simmer, remove from heat and cover with lid. Let sit for 30 minutes to an hour. Strain out the herbs and pour infused-vinegar into a clean jar. Mix 1/4 cup of herbal vinegar into one quart of water and pour over hair. This will remove soap residue and leave hair soft and shiny. For ease of use, pour this mixture into a spray bottle and keep it in the shower. Spray hair all over and allow to sit for a few minutes before rinsing out.